I embroidered it for the WELLWOOD FOUNDATION. The Wellwood Foundation provides services for persons and their families battling cancer in the Hamilton, Ontario Canada area. Families who meet with the social workers are encouraged to create shoe boxes full of memories of the person who is so very ill. Could be photos, or momentoes of trips, theatre tickets or whatever works for that family. It helps while the person is so very sick, and provides good memories and better healing when the person is gone. 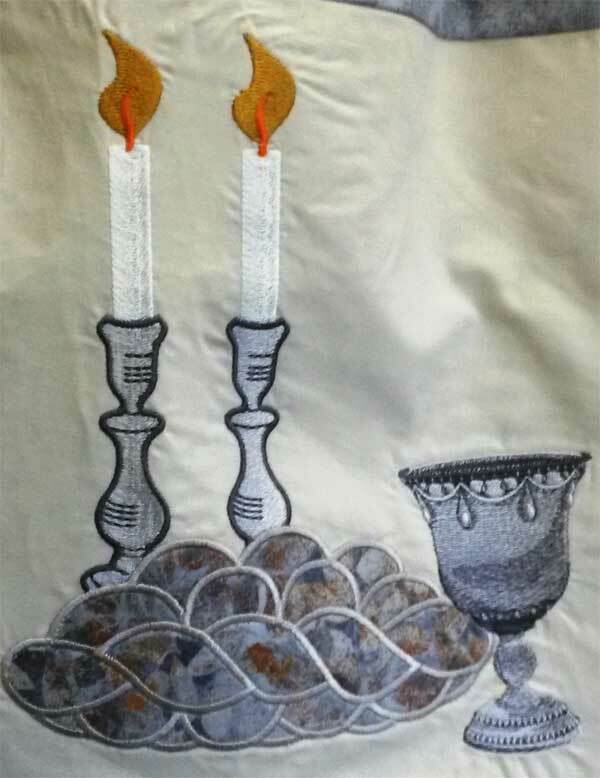 I was asked to create something that was of interest to a person of Judaic inclinations. I chose the Shabbat theme and created a 14 inch square. 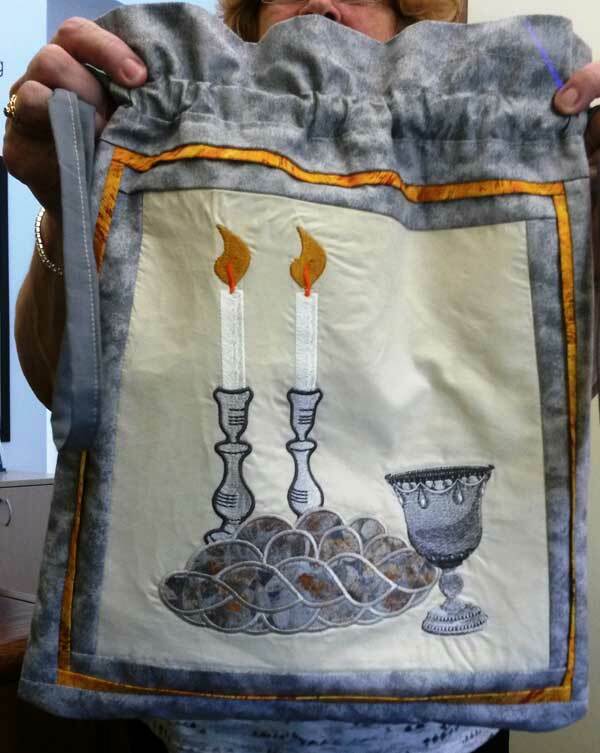 One of the volunteers created the bag, designed around the Shabbat still life scene.